Sequel to the creation of the Young Pharmacist of the Year Award by Pharmanews Ltd, which saw Pharm. 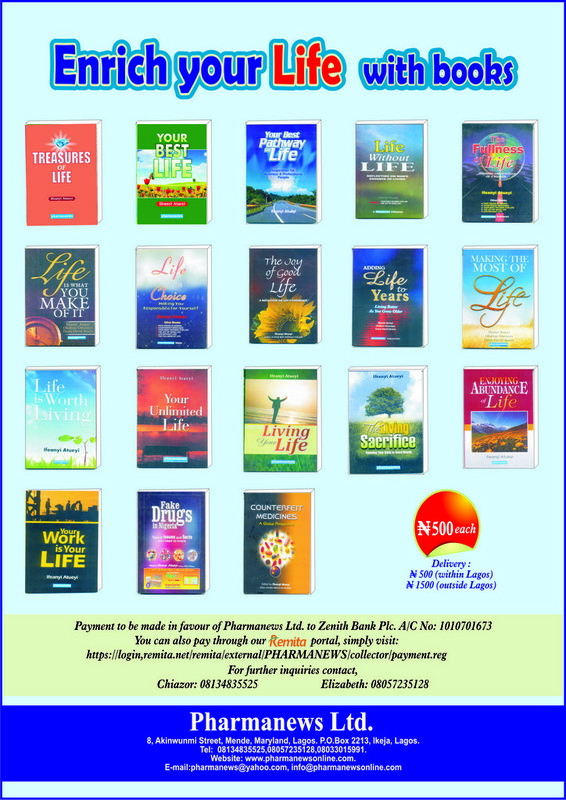 Isa Muhammad as the winner, the publishing firm has decided to extend the Online Competition to the Pharmaceutical Association of Nigerian Students (PANS), which is tagged:”Pansite of the Year Award”. This is another initiative to reward innovation and active participation of Pharmacy students, who have distinguished themselves in public healthcare activities as well as community/social development. 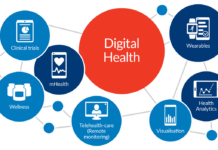 To select candidates for this Online Competition, we hereby call for nomination of pansites, who have invented fantastic innovations, and those who have impacted their communities significantly, based on public healthcare and community development activities. Your nomination should be attached as a comment to the post. Following the nomination exercise, the panel in charge of the exercise will select five nominees with highest nominations for an Online Poll, and the candidate with the highest votes becomes the winner. Please note that nomination closed on Friday, 19 April 2019. While voting has already commenced and will close on 22 May 2019.
through his writings. His volunteer activities are as varied as his skills; public speaking about the them, research on topics; and simply acting like a friend to those who are most in need of one… He has also frequently been asked to speak at presentations to the Public. His contribution to others becomes all the more impressive when you consider the many activities he do. I nominate Adebisi Yusuff Adebayo from the University of Ibadan, Nigeria. I nominate Yusuf Hassan Wada for the PharmaNews PANSites of the year award . I nominate Adebisi Yusuff Adebayo, University of Ibadan, Nigeria. I nominate Adebisi Yusuff Adebayo, a student of the University of Ibadan. He is a global health enthusiast and has a number of research papers published. He has led numerous health campaigns aimed at creating healthier world.. He is a member of the Global Health Enthusiasts Team that won the Innovate4AMR competition in November, 2018. His team was the only winning team from Nigeria. i nominate Yusuf Hassan Wada for the PharmaNews PANSites of the year award. He have done alot in the fight on Drug abuse and counterfeit. I nominate Adebisi Yusuf Adebayo, University of Ibadan. He is young innovative thinker wishing to change the world with intellectualism. As a global health advocate, he has a keen interest in antimicrobial resistance, drug policy and global health research. He has presented his research works both within and outside the country and he’s currently mentoring healthcare students who are becoming adept in research. I nominate Yusuf Hassan Wada for the PharmaNews PANSites of the year award. He’s a young chap that have done alot toward eradication of Drug abuse in not only his community but in our state. He’s a researcher, writer and advocate. Lots of achievements home and abroad. Health group on Facebook where he talks about issues. Also doing something on antibiotics awareness. Yusuf Hassan Wada is an accomplished pharmacy student, activist, advocate, writer & Researcher lawyer. Having studied alongside Yusuf at a conference last year I walked away knowing that his understanding of science, medicine & public health is NEEDED. I nominate him for the Pharmanews Pansites of the year award. I nominate Yusuf Hassan Wada from Usmanu Danfodiyo University Sokoto. I nominate Adebisi Yusuf Adebayo, University of Ibadan, Oyo state. I nominate ADEBISI YUSUFF ADEBAYO…A student of University of Ibadan. If you’ve seen a man who’s diligent in what he does,he shall stand among kings and not just mere men.Yusuff is diligent and hardworking, he’s been of great impact concerning health related issues,selfless and ready to help you achieve what you think ordinarily is impossible,a health research enthusiast and a great mentor,always ready to learn and he’s contributed to health both within the country and outside. He deserve this and even more,he’s an inspiration to so many of us in health repeated courses, I can attest to the fact that he’s fit for this. God bless PANsite and bless Yusuff Adebisi greatly too. I nominate Adebisi yusuf Adebayo from faculty of pharmacy, university of Ibadan as the pansite of the year. His selfless attitude towards the global development of people’s health made me nominate him. He is just the best person for this award. I nominate Adebisi Yusuff Adebayo from the University of Ibadan. I’ve known him to be a selfless and magnanimous being. Always willing to share his knowledge. He is a role model to many. I nominate Adebisi Yusuff Adebayo. This is his profile based on his impact in drug policy and public health. Adebisi is really a student with outstanding impact even though he is still a student. Adebisi Yusuff Adebayo is the associate director for research at Global Health Focus Africa. He is currently a fourth year pharmacy student from the University of Ibadan, Nigeria and he has also earned diploma in Addiction Medicine from the University of British Columbia, Vancouver. Adebisi is a global health enthusiast, drug policy advocate, research enthusiast and public health educator. He is a graduate of Global Health Pharmacy where his interest in drug policy, smoke-free world and research emanated. He is an astute advocate for harm reduction and drug policy. Adebisi has also served as the President of Students for Sensible Drug Policy where he actively advocate for ending war on drugs. He is also a member of many international organizations in the space of public and global health. Adebisi has presented (as a author/coauthor) various research works in many local and international conferences. One of his dreams is to see Africa where harm reduction is widely embraced and adopted. I nominate Adebisi Yusuff Adebayo, University of Ibadan, Oyo State. I nominate Adebisi Yussuf Adebayo of the university of Ibadan. He’s indeed an outstanding addition to the pharmacy profession! I nominate Adebisi Yusuff Adebayo. He is a student of pharmacy at university of Ibadan. He is a diligent student with great enthusiasm for healthcare. Adebisi Yusuff Adebayo impacts in the public health space is vast and encouraging. He is a global health enthusiast and has led numerous campaign aimed at providing health information to hard-to-reach people. He is inspiration to many pharmacy students within and outside Nigeria. I nominate Adebisi Yusuff Adebayo from University of Ibadan. He is dedicated to global public health. He merits this award. Adebisi has impacted many of us! I nominate Adebisi Yusuff Adebayo, University of Ibadan, Ibadan, Nigeria. Adebisi Yusuff Adebayo A.K.A Prof Rx He is selfless, intelligent, hardworking, passionate about the health sector and has made innumerable contributions to this industry in the areas of academics and research ( both locally and internationally), community development services (public health awareness through seminars and workshops, etc) even as a student. I therefore consider him a good student ambassador of this noble profession, qualified to receive this well deserved honour. In no doubt, Adebisi is an excellent pharmacy student. Adebisi Yusuff Adebayo is a pharmacy student with a difference. He is well known for his hardworking spirit and his great involvement in public health. Adebisi is a global health enthusiast and he is a mentor to many a student as he continually inspire them. I nominate Yusuf Hassan Wada for the PharmaNews PANSites of the year award. YUSUF HASSAN WADA is an innovative Pharmacy student. He inspires me a lot. I thereby nominate him for the Pharmanews Pansites of the Year award. I nominate Adebayo Yusuff Adebisi.He is innovative,intelligent,outstanding and passionate about global healthcare.He has contributed in various ways to its development by leading various campaigns and carrying out a lot of research.He is also an excellent pansite. I nominate Adebisi Yusuff Adebayo, from University of Ibadan. He is dedicated to public health and deserves the award. I nominate Adebisi Yusuf Adebayo, a student of Faculty of Pharmacy, University of Ibadan. He’s passionate and relentless about health and how it can be improved in Nigeria and the world at large. In his words, he once said ‘I don’t care if you have a better score than I, the most important thing is that we all passed’, that’s always his attitude when he tutors his classmates, ever met such a selfless person? I nominate Adebisi Yusuf from University of Ibadan, Ibadan. I nominate Adebisi Yussuf Adebayo, University of Ibadan as the PANSite of the year. He’s a young innovator with an unquenchable enthusiasm in global health. His interest and works in global health also extents to policies and policy making on drugs. I nominate Adebisi Yusuf Adebayo from the University of Ibadan, Ibadan, Nigeria. His impact on the community and research world cannot be over emphasized. His all-over effort to reach the less privileged and to also curb Drug abuse and Resistance is really a top notch. I have never met the lad in person but we were introduced by someone who knew both of us. I am a lecturer in the department of pharmacology a and toxicology in Niger Delta University. He has been of great help even without knowing me in person. He steps out of his way to put smiles on people’s faces. He’s an amazing emerging healthcare professional who has make meteroic social impact within his community. I nominate Adebisi Yusuf Adebayo, University of Ibadan for this award. Adebisi Yusuff Adebayo is the first to be selected as the ambassador for Royal Society of Tropical Medicine and Hygiene in Nigeria. He is very hardworking and has been known for his impacts in the social public health space. Adebisi Yusuff Adebayo has been given opportunity to attend to many seminar in Nigeria and oversea due to his tutelage knowledge. I nominate Adebisi from the University of Ibadan for the awards. I nominate Adebisi Yusuff Adebayo, University of Ibadan, Ibadan. Adebisi Yusuff Adebayo is the first to be selected as the ambassador for Royal Society of Tropical Medicine and Hygiene in Nigeria. He is very hardworking and has been known for his impacts in the social public health space. I nominate Adebisi from the University of Ibadan for the awards. I nominate Adebisi Yusuf Adebayo, University of Ibadan, Nigeria. He fulfilled all the eligibility requirements for the award through his engagement on health matters. Adebisi Yusuff Adebayo is the president of Students for Sensible Drug Policy in the University of Ibadan, an organization that is headquartered in Washington D.C. Adebisi is actively involved in advocating for drug policy that is compassionate and sensible without discrimination or stigma. Adebisi Yusuff Adebayo has one of his paper on drug policy at the peer review stage at the International Journal of Drug Policy. Alas! Adebisi is still a student and he is 22 years old! Adebisi Yusuff Adebayo in 2018 won the travel award to present his paper at the International AIDS Conference Amsterdam Netherlands. Adebisi deserves the award! I nominate Adebisi Yusuf Adebayo, University of Ibadan, Nigeria. He fulfilled all the eligibility requirements for this award. Recently, Adebisi just won a big grant to do an innovative project in Nigeria. Still undisclosed. Adebisi is doing well in the public health space and interestingly he is just 22 years. Adebisi Yusuff Adebayo from the University of Ibadan deserves the ward. I nominate him! His impact in research is immense. I nominate Yusuf Hassan Wada, the Principal Editor Pen Press, Writer, Researcher and the current PANS National Editor. He really deserves this award. I nominate Melody Okereke from the Faculty of Pharmaceutical Sciences, University of Ilorin. I nominate Melody Okereke from the Faculty of Pharmaceutical Sciences, Unilorin as Pharmanews Pansite of the year. I nominate Melody Okereke from the Faculty of Pharmaceutical Sciences, Unilorin as the Pharmanews Pansite of the year. I nominate Pharm Melody Okereke from the Faculty of Pharmaceutical Sciences, Unilorin. Even without seeing each other, I have always admired this young man and his unquenchable zeal for pharmacy and healthcare. You really need a Melody in your life. He should win this. I nominate Melody Okereke aka RxAtenolol from the Faculty of Pharmaceutical Sciences, Unilorin. He deserves to win this. I nominate Melody Okereke from the Faculty of Pharmaceutical Sciences, Unilorin. As the saying goes, there is nothing new under the sun; this young man has made me to doubt the authenticity of this adage. I have never seen a first year pharmacy student who has gone so far in the medical space even much more than graduates of pharmacy. This guy is really mind blowing; a google search will convince you. He deserves this award. I nominate Melody Okereke, he is a young man with great dreams fueled by unimaginable exploits, achievements and feats. I nominate Melody Okereke from the Faculty of Pharmaceutical Sciences, Unilorin. I nominate Melody Okereke from the faculty of pharmacy, University of Ilorin, Kwara State. I nominate Melody Okereke from Unilorin. He is a very brilliant pharmacy student and has achieved a lot at a very young age. I nominate Melody Okereke from the Faculty of Pharmaceutical Sciences, Unilorin. He is a smart and very hardworking Pharmacy student. I nominate Melody Okereke from the Faculty of Pharmacy, Unilorin. At a very young age, his knowledge of drugs is beyond the imaginable. He has worked so hard as a pharmacy student and he really deserves this. I nominate Melody Okereke, Pharmacy, Unilorin. I nominate Melody Okereke from the Faculty of Pharmaceutical Sciences, Unilorin. I’ve heard a lot about him even from the Faculty of Arts. The young man deserves this. I nominate Melody Okereke, Pharmacy, Unilorin. He is very brilliant and has demonstrated zeal for excellence. I nominate Melody Okereke, pharmacy student, Unilorin. He has published articles with various organizations like the International Pharmaceutical Students Federation (IPSF), African Regional Office (AFRO) of the IPSF etc. He has also published with the Nigeria’s foremost Newspaper, the Vanguard. He is the best man for this award. I nominate Melody Okereke from the Faculty of Pharmaceutical Sciences, Unilorin. He is just in his first year of pharmacy school but he has great achievements to his credit. He should win this. I nominate Melody Okereke from the Faculty of Pharmaceutical Sciences, Unilorin. No much thing to say, a google search will reveal so much about him. I nominate Melody Okereke. He is an experienced researcher and the founder of the Young Nigerian Researchers Forum. He should win this. I nominate Kenneth B David for the Pharmanews PANS’ite of the year award… He’s a seasoned writer and Chairman, Editorial Board, PANS KASU chapter. Hello Pharmily, I nominate Yusuf Hassan Wada, His impact on the community and research world cannot be over emphasized. I nominate Adebisi Yusuff Adebayo from the University of Ibadan. She is passionate about pharmacy and she has been involved various community healthcare outreaches organized by different organizations in a bid to impact the people around her and I believe she more than anyone else deserves this award. I nominate Adebisi Yussuf Adebayo, University of Ibadan as the PANSite of the year. He’s a young innovator with an unquenchable enthusiasm in global health. His interest and works in global health also extents to policies and policy making on drugs. I nominate Adebisi Yusuf Adebayo , university of Ibadan. He is highly innovative about health problems as he had with his represented University of Ibadan School of pharmacy in many international health innovation competition. He was the Public Relation officer of the past PANS executive of university of Ibadan….. I nominate Adebisi yusuf Adebayo from faculty of pharmacy, university of Ibadan as the pansite of the year. He’s popularly know as ProfRx. I’ve never ever met anyone so selfless as Yusuff and he’s so passionate about it, and all he does..
His impact on the community and research world cannot be over emphasized…. It is evident here to see the impact of this young man in the public health space. I nominate Adebisi Yusuff Adebayo, a student of the University of Ibadan. He is a global health enthusiast and has a number of research papers published. He has led numerous health campaigns aimed at creating healthier world. He is a member of the Global Health Enthusiasts Team that won the Innovate4AMR competition in November, 2018. His team was the only winning team from Nigeria..
journals. Not to also mention his activities on social media. I nominate Yusuf Hassan Wada as the PANSITE award of the year. I nominate Kenneth B. David from Kaduna State University – Faculty of Pharmaceutical Sciences. writing, advocacy, research and community devt. I nominate Yusuf Hassan Wada for the PharmaNews PANSites of the year award. His style of writing stirred young writers like this me to think smarter, write better, read more, and above all, to think for us. He’s also a doyen in Research and Advocacy. I nominate Yusuf Hassan Wada, a student of the FPS, UDUS. He is a Public health enthusiast and has a number of writing and research papers published. I nominate Kenneth B David from PANS KASU Chapter for the pharmanews PANSite of the year award. I nominate Kenneth B David from the prestigious Faculty of Pharmaceutical Science of KASU. I’m Abubakar Masanawa and hereby nominate Yusuf Hassan Wada for the PharmaNews PANSites of the year award. 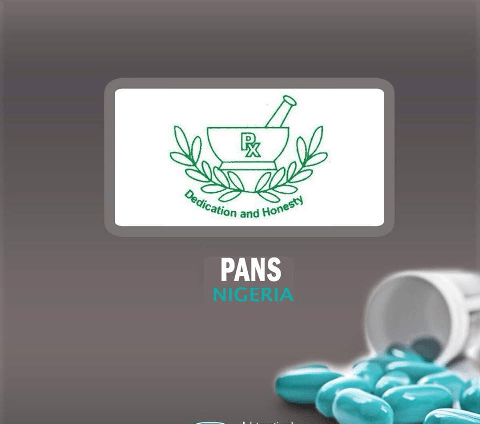 I nominate Marvelene Ekott from PANS UNIUYO for the pharmanews PANSite of the year award. I nominate Kenneth B David as the Pharmanews pansite of the year due to his wealth of experience in students-mentorship and research. I nominate Kenneth B David, Faculty of Pharmaceutical Sciences KASU for the PharmaNews PANSites of the year award. I nominate Adebisi Yusuff Adebayo, from University of Ibadan, Nigeria. He is a public health and global health researcher. He is an amazing mentor too. Comment: I nominate Yusuf Hassan Wada from Usmanu Danfodiyo as the Pharmanews Pansite of the Year Award. Yusuf is someone I can frankly say that I picked courage to continue to write because of his writing styles for health issues on a simple writing. Not to mention his advocacy campaign and rest. I nominate Yusuf Hassan Wada as the Pharmanews Pansite of the year. Yusuf Hassan Wada (also informally called Pharmanews) from UDUS Sokoto. abuse awareness and he always enlight the public through his social media accounts, national dailies and researchs about the rationale on how to cope with substance abuse in Nigeria. Comment: I nominate Yusuf Hassan Wada, Faculty of Pharmaceutical Sciences UDUS for the PharmaNews PANSites of the year award. I nominate YUSSUF HASSAN WADA from Usmanu Danfodiyo University Sokoto, Sokoto State. He is a public health writer, researcher, Drug-free Nigeria advocate and campaigner, socio-economic and health commentator. His pieces on public health advocacy have appeared on several online and print mediums including Daily Trust, SwankPharm, Thisday, BBC, TheNation and Naij. He has all what it takes to win the award. I nominate Yusuf Hassan Wada from the prestigious Faculty of Pharmaceutical Science of Usmanu Danfodiyo University Sokoto. He has all that it takes to be awarded this. I nominate Yusuf Hassan Wada from Udus for the pansite of the year award. His contributions to global health is commedable, he deserves the award more than anyone. he is widely-acclaimed as a straightforward and honest man. I nominate him “Yusuf Hassan Wada” and wish many could do so. I nominate Abdullahi Nnamdi Sadiq of University of Nigeria Nsukka as PANsite of the Year. Sadiq is a leader and a model for Nigerian Pharmacy Students, he has contributed tremendously to public health campaigns in the community,and around the school environs, he coordinates student affairs in the University of Nigeria and inspire s other students to do same. With these award, he would be able to extend his influence across Pharmacy schools in Nigeria. I nominate Adebisi Yusuff Adebayo University of Ibadan, Ibadan, Nigeria. I nominate Obong-Odu Samuel of the University of Uyo,Uyo. I nominate Obongodu Samuel from the faculty of pharmacy university of Uyo as the pharmanews pansite of the year. she is the incumbent Vice president of the student Union Government university of Uyo. I nominate Obongodu Samuel, University of Uyo, Uyo. I nominate Yusuf Hassan Wada from Usmanu Danfodiyo University Sokoto. He is a public health writer, researcher, Drug-free Nigeria advocate and campaigner, socio-economic and health commentator. His pieces on public health advocacy have appeared on several online and print mediums including Daily Trust, SwankPharm, Thisday, BBC, TheNation and Naij. Not to talk about his research papers and researches I knew he have tried to make impact on. I nominate Yusuf Hassan Wada, Faculty of Pharmaceutical Sciences UDUS for the PharmaNews PANSites of the year award. I nominate Yusuf Hassan Wada, UDUS for the PharmaNews PANSites of the year award. Comment: I nominate Obongodu Samuel, University of Uyo, Uyo. I nominate Yusuf Hassan Wada for Pharmanews PANSites of the year award. And many more I can’t remember.. I nominate ADEBISI YUSUFF ADEBAYO,University of Ibadan.He is a global health enthusiast,research enthusiast,Drug policy advocate.He is also a student ambassador and member at Royal society of tropical Medicine and hygiene.He is the associate director for Global health focus Africa. I nominate Yusuf Hassan Wada from Usmanu Danfodiyo University Sokoto. He is a public health writer, researcher. Adebisi Yusuff Adebayo, Faculty of Pharmacy, University of Ibadan, Nigeria. I nominate Adebisi Yusuff Adebayo for the pansite of the year… His global health knowledge is vast, and has earned him both local and international recognition. I nominate Adebayo Yussuf Adebisi, University of Ibadan. He is proactive, intelligent, diligent and passionate about public health. He deserves this award. I nominate Adebisi Yusuff Adebayo, a student of the University of Ibadan. He is a global health enthusiast and has a number of research papers published. He has led numerous health campaigns aimed at creating healthier world. He is a member of the Global Health Enthusiasts Team that won the Innovate4AMR competition in November, 2018. His team was the only winning team from Nigeria. I nominate Adebisi Adebayo Yusuf from University of Ibadan. I nominate Adebisi Yusuff Adebayo from University of Ibadan. Adebisi is an excellent pharmacy student in the public health space. advocate, writer, very innovative and has a great personality! I nominate Abdullahi Abubakar Sadiq from University of Nigeria as the Pansite of the year. He’s a Public Health advocate, very innovative and has a great personality! I nominate Abdullahi Nnamdi Sadiq as PANSITE OF THE YEAR. advocate and writer, a mentor and rallying point to many with a razor sharp mind. Let’s bring it home for this silent achiever, Pharmily. I’m Abiodun Jamiu from Usmanu Danfodiyo University, Sokoto. I hereby nominate Yusuf Wada, Usmanu Danfodiyo University, Sokoto as the Pharma News PANSites of the year. Abdullahi Abubakar Sadiq : University of Nigeria Nsukka. I nominate Abdullahi Abubakar Sadiq from University of Nigeria Nsukka. He is a leader filled with passion for human development and enhancement of the populace quality of life. I nominate Abdullahi Abubakar Sadiq from University of Nigeria Nsukka. He is a star filled with the light and essence of public health advocacy. I nominate Abdullahi Abubakar Sadiq from University of Nigeria Nsukka. He is a public health advocate and currently the President of ISPOR UNN: a public health advocacy team that has pioneered various public health campaigns, researches and outreaches. He is also very innovative as he has been awarded the most Innovative Lion by the Students Union Government, University of Nigeria Nsukka. He truly deserves the award! I nominate Yusuf Hassan Wada from Usmanu Danfodiyo University Sokoto. He is a public health writer, researcher, Drug-free Nigeria advocate and campaigner, socio-economic and health commentator. I nominate ADEBISI YUSUFF from UNIVERSITY OF IBADAN. I nominate Melody Okere from the faculty of pharmacuetical science,Ilorin. Comment: I hereby nominate Yusuf hassan wada from usman dan fodiyo university sokoto as the pharma news PANsite of the year award. He deserve it wallahi. His dedications and devotions to pharma news is incomparable to any. YUSUF HASSAN WADA Of Usman Danfodio University. I nominated yusuf hassan wada from my university usman danfodiyo university sokoto . Hello pharmily, I nominate Yusuf Hassan Wada, from my university Usmanu danfodio university, sokoto. He’s worth it! I Nominated Yusuf Hassan Wada, From the Faculty of Pharmaceutical Sciences, UDUS. His intelligence, Diligence and honesty outweighed any other candidates which impressed me very much. I nominate Adebisi Yusuff Adebayo, a student of University of ibadan. I was lucky to meet the equally revolutionary Advocate, Yusuf Hassan Wada, who have been a writer, community development advocate, a student researcher and selfless person. He wasn’t just my Pharmily friend but also my mentor, moral fortress and my cheerleader. And many more others I couldn’t mention. Search his name on goggle to see more on him. I nominate Yusuf Adebayo from the University of Ibadan. He is selfless, intelligent and a good researcher. I nominate Yusuf Hassan Wada, from UDUS. He’s endowed and exceptional with spontaneous wit . He is also amazingly consistent. He combines also a fearless attitude as a health writer and a columnist with sharp judgement to become an indispensable guide to contemporary health media. He always advocate constantly so well on Drugs use, misuse and abuse, always with bright, engaging and interesting ideas and expressions. I envy him for that and hereby nominate him and wish many coud do so. I nominate Adebisi Yusuf Adebayo, thank you. I nominate Adebisi Yusuff Adebayo, a student of the University of Ibadan. He is a global health enthusiast and has a number of research papers published. He is a member of the Global Health Enthusiasts Team that won the Innovate4AMR competition in November, 2018. His team was the only winning team from Nigeria. I vote for Adebisi Yusuff Adebayo, Faculty of Pharmacy, University of Ibadan.. I was lucky to meet the equally revolutionary Advocate, Yusuf Hassan Wada, who have been a writer, community development advocate and selfless person. He wasn’t just my Pharmily friend but also my mentor, moral fortress and my cheerleader. I hereby nominate him “Yusuf Hassan Wada” and if you would like to nominate him do so please. I nominate Yusuf Hassan wada from FPS UDUS. I have been inspired by the work of Yusuf Hassan in Humanitarian and Community development on Public Health especially his advocacy and awareness on drug and substance abuse. Yusuf Hassan Wada, He had been an inspiration to me. I nominate Adebisi Yusuff Adebayo,University of Ibadan, he is a global health enthusiast and he has been educating general public about health issues. I nominate Adebisi Yusuff Adebayo from University of Ibadan. He is dedicated to public global health and deserves the award. I nominated Yusuf Hassan from Usmanu Danfodiyo University Sokoto as the Pharmanews Pansites of the year. I nominate Adebisi Yusuff Adebayo from University of Ibadan. He is dedicated to public health and deserves the award. I am nominating Adebisi Yusuff Adebayo from University of Ibadan. 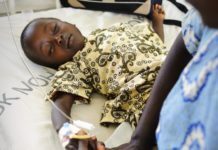 Adebisi’s team is one of the winners of the innovate4AMR Global Competition. He has presented his research works in many conferences home and abroad on public health issues. A lot more of good things to say about this young man. I nominate Adebisi Yusuff Adebayo for the PANSite of the year award…He deserves this award due to his diligence towards global/public health in the Nigerian university system. I nominate Adebisi Yusuff Adebayo for the award!!! I nominate Yusuf Adebisi Adebayo from University of Ibadan. He is innovative, resilient and sefless. I nominate Adebisi Yusuff Adebayo, A pharmacy student of university of Ibadan. I nominate Yusuf Hassan Wada, he have enhance and encourage me on research and writing competencies both conceptually and interpersonally with so many things such resource materials such as books, websites and articles that are a great resource for skill development. I do nominate Yusuf Hassan Wada for his selfless services and building up youths in public healthcare activities as well as community/social development. His efforts against drug abuse yielded fruits, resulting in the drop of drug abusers in the immediate and national community.. 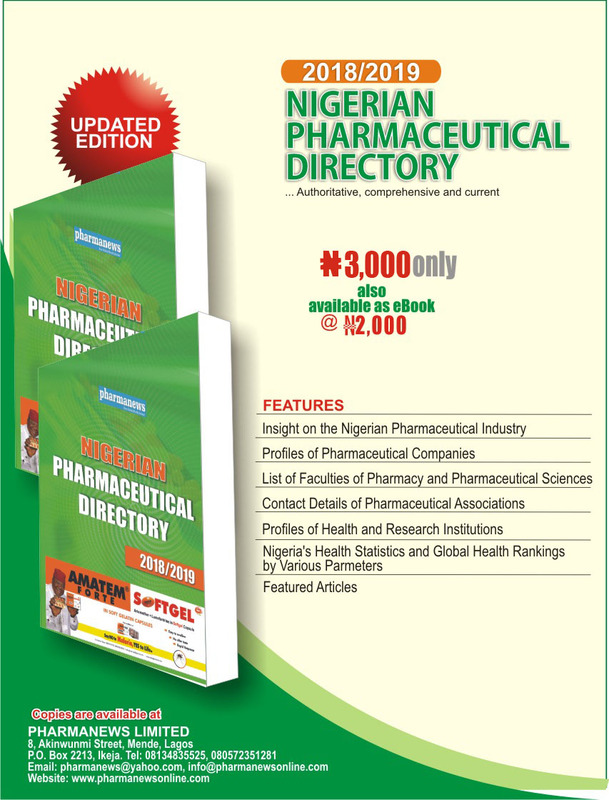 I unequivocally nominate Adebisi Yusuf Adebayo for his outstanding efforts in the dispense of pharma news …. I am nominating Adebisi Yusuff Adebayo. Adebisi mentored my research work on tobacco use in Cambodia which was accepted for presented in a big conference in Indonesia. I am indebted to him. Though I am not from Nigeria I know what he is capable of doing! Adebisi Yusuff Adebayo for the award! Adebisi Yusuff Adebayo for the win! I nominate Yusuf Adebisi.University of Ibadan. I nominate Adebisi Yusuf, University of Ibadan. He sure is a selfless and excellent student researcher. Pharmaceutical sciences, UDUS. He is a great writer and a researcher. He’s one for who I believe that young can change the world and our national condition. Yusuf is a person of intellect who is always ready to impact not just the people around him but the world at large. He has a hunger and drive for change and a better future. I nominate Melody Okereke from Faculty of Pharmaceutical sciences, Unilorin. Melody Okereke is a great researcher with mind-blowing goals.. I nominate Adebisi Yusuf Adebayo from University of Ibadan. Yusuf apart from being interested in research and development as it concerns Pharmacy profession, is a selfless fellow and a leader. I nominate Adebisi Yusuf Adebayo , university of Ibadan. He is highly innovative about health problems as he had with his represented University of Ibadan School of pharmacy in many international health innovation competition. He was the Public Relation officer of the past PANS executive of university of Ibadan. I nominate Adebisi Yusuff Adebayo. He is passionate about helping people to achieve their desired goal. Knowledgeable, out spoken and altruistic. He possesses servant leadership skills and sense of philanthropies. I nominate Ekeh Ogechi, a graduating pharmacy student, also the overall best graduating student in the whole university with a 4.96 CGPA..
Adebisi Yusuf Adebayo is critical thinker willing to change the world with intellectualism. He is an impact maker, who takes joy in impacting life of youngsters. He is also a researcher, who has presented his research work both in Nigeria and abroad. He is also modelling youngsters who are willing to become good researcher. Comment: I nominate Yusuff Hassan Wada from UDUS. He’s great in all he does. I nominate Adebisi Yusuff Adebayo University of Ibadan,Ibadan. Adebisi deserves the award in all ways! I nominate Melody Okereke from the Faculty of Pharmaceutical Sciences, Unilorin”..
Adebisi is an excellent student with impact on people around him including myself! He is doing exceedly well both in academics and extracurricular activities. His career objective is to achieve professional excellence by putting continuous knowledge and skills which will ultimately contribute to the achievement of community goals. Adebisi is a boss and he fits for this award, well deserved! I nominate Okereke Melody as the Pharma News PANsite of the year, from Faculty of Pharmaceutical Sciences, University of Ilorin, Ilorin, Kwara State. Adebisi Yusulf. University of Ibadan. He’s popularly know as ProfRx. I’ve never ever met anyone so selfless as Yusuff and he’s so passionate about it, and all he does. I am currently schooling in Tulane University. Adebisi has impacted me and my team positively with his public health research expertise. Adebisi is very smart and I love him. I know he is making a great impact in his country in the public health sector. Adebisi is an innovative pharmacy student. He inspires me a lot. He has done a lot in the public health space even though he is still a student. Yussuf Adebisi Adebayo is his name.He is from University of Ibadan. Apart from being selfless and impactful, this young man is making great wave in the field of pharmacy. He has travelled within Nigeria and beyond solely to expand his niche in the laudable profession. Adebisi’s impact in the public health space as a pharmacy student is inspiring. I nominate Adebisi Yusuff Adebayo from the University of Ibadan. Yusuf is a passionate researcher who has through his skill contribute to Health issues locally and globally. He’s a very resourceful young chap in the Health industry. He is very dedicated, passionate and highly focused. This is evident in the results he has produced over the years and his influence on pharmacy students and health professionals within an outside Nigeria. He consistently upholds the face of the profession with every opportunity locally and globally. I nominate Christy Alagbe from the University of Ibadan. She is passionate about pharmacy and she has been involved various community healthcare outreaches organized by different organizations in a bid to impact the people around her and I believe she more than anyone else deserves this award. Comment:I nominate Melody Okereke from the Faculty of Pharmaceutical Sciences, University of Ilorin. I nominate “Christy Alagbe” from University of Ibadan. Apart from being driven, she’s an industrious and hardworking person. She lead the team that organized the Annual Hachkathon event. I nominate Yusuf Hassan Wada, a Public Health Writer, Advocate, from Usmanu Danfodiyo University Sokoto. I nominate a very selfless pansite (Kenneth B. David, from Kaduna State University) as the pansite of the year. I have learnt alot from him, even though we are not from the same school. I nominate Christy Alagbe from University of Ibadan. I nominate Christy Alagbe. Talk about innovations, public health, international involvements, she is the best. She was the chairperson PANS hackathon in 2018. Also the deputy Editor in Chief in 2018. Adebisi Yusuff Adebayo, University of Ibadan, Nigeria. Melody Okereke of University of Ilorin is a young researcher involved in numerous health advocacy programs. I nominate Melody. I nominate Yusuf Hassan Wada, Usmanu Danfodiyo University. of Pharmaceutical Sciences, Usmanu Danfodiyo University Sokoto. Yusuf Hassan Wada of the Faculty of Pharmaceutical Sciences, UDUS. Yusuf Hassan Wada,Usman danfodiyo university. I nominate Yusuf Hassan Wada, Usmanu Danfodiyo University Sokoto as PANsite of the year. I nominate ‘Yusuf Hassan Wada ‘Faculty of pharmaceutical sciences UDUS. He is a competent writer who writes alot about drug abuse awareness and he always enlight the public through his social media accounts about the rationale on how to cope with substance abuse in Nigeria. Ojelabi Jesujoba. Obafemi Awolowo University, Ile-Ife. I hereby nominate Yusuf Hassan Wada of Usmanu Danfodiyo University sokoto as pansite of the year. I nominate lawal Samuel (olabisi Onabanjo University, faculty of pharmacy) as the pansite of the year. I nominate “Yusuf Hassan Wada”, Usmanu Danfodiyo University Sokoto as the Pharma News PANSites of the year. I hereby nominate “Yusuf Hassan Wada”, Usmanu Danfodiyo University Sokoto. He is a writer and public health commentator. He has continously educate the general public on Public health issues through writing mainly drug and substance abuse, regulatory issues, and drug information in various newspapers, media, local and scholarly journals. Additionally, he had created an avenue of awareness to schools on drug abuse which he coordinate and his activities have been published on National dailies. He had also presented continuing education programs on drug and sustance topics that include medication errors, prescription drug abuse, and legal and regulatory issues. He had also meet major stakeholders on Drug abuse towards ending the menance especially in Northen Nigeria. Yusuf Hassan Wada, is currently the PANS PRO. Adebayo Grace, Faculty of Pharmacy, University of Uyo, Uyo. I hereby nominate Yusuf Hassan Wada, Usmanu Danfodiyo University Sokoto. As the Pharma News PANSite of the year award. I nominate Adebayo Grace from the University of Uyo, Uyo as the PANSite of the year. Yusuf Hassan Wada, Usmanu Danfodiyo University Sokoto.